Matthew Arnold criticised Algernon Charles Swinburne for his ‘fatal habit of using one hundred words when one would suffice’. So it is perhaps strange that Swinburne, a poet notable for his diffusiveness, should be so heavily indebted to that most fragmentary of poets, known for her enigmatic brevity – Sappho. 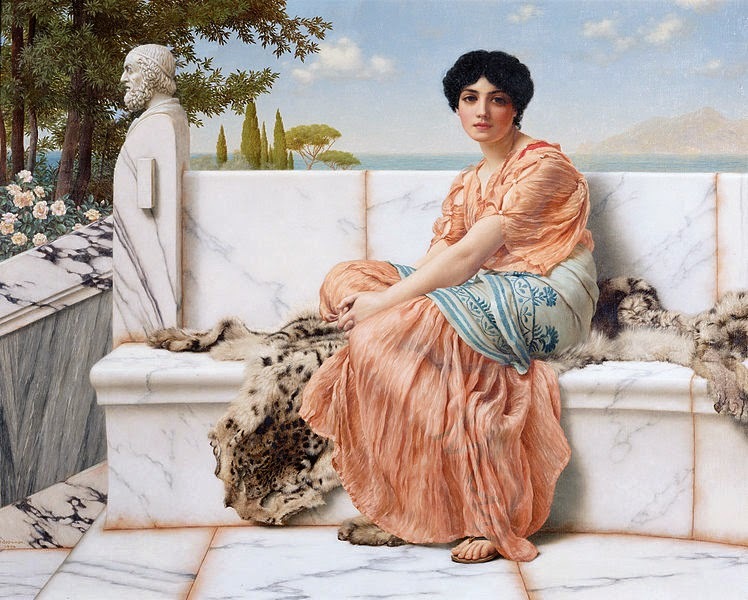 Sappho’s slight oeuvre is of course the result 2,600 years of imperfect transmission but the broken nature of her poetry has become one of the most identifiable reasons of its appeal. Swinburne loved and admired Sappho from his schooldays at Eton, but feminist critics have criticised nineteenth-century male poets such as Swinburne and Pierre Jules Théophile Gautier for exploiting the gaps in Sappho, inserting themselves in the silence and populating the elisions with expressions of their own sexual and poetic desires. Swinburne certainly found Sappho spoke to him in very personal ways, encompassing, but also going beyond, questions of sexual preferences – the appeal of sadomasochism, the experience and expression of what we might label ‘bisexual’ love. Sappho is perhaps most directly prominent in Swinburne’s ‘Anactoria’ (published as part of Poems and Ballands in 1866). For whenever I glance at you, it seems that I can say nothing at all but my tongue is broken in silence, and that instant a light fire rushes beneath my skin. I can no longer see anything in my eyes and my ears are thundering, and cold sweat pours down me, and shuddering grasps me all over, and I am greener than grass, and I seem to myself to be little short of death. Judging even from the mutilated fragments fallen even within our reach from the broken altar of her sacrifice of a song, I for one have always agreed with all Grecian tradition in thinking Sappho to be beyond all question and comparison the very greatest poet that ever lived. Aeschylus is the greatest poet who ever was also a prophet; Shakespeare is the greatest dramatist who ever was also a poet; but Sappho is simply nothing less – as she is certainly nothing more – than the greatest poet who ever was at all. It is this ‘faith’ of Swinburne’s in the perfection of Sappho’s poetry, rather than her sexual subjects, which cements her worth. 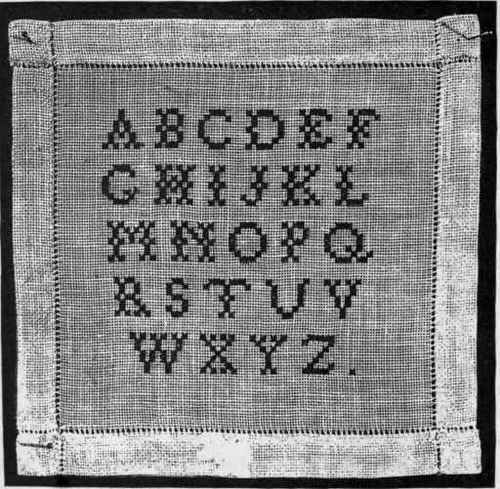 What should be T in my Victorian Alphabet? Let me know here, on Facebook, on Google+ or by tweeting @SVictorianist. 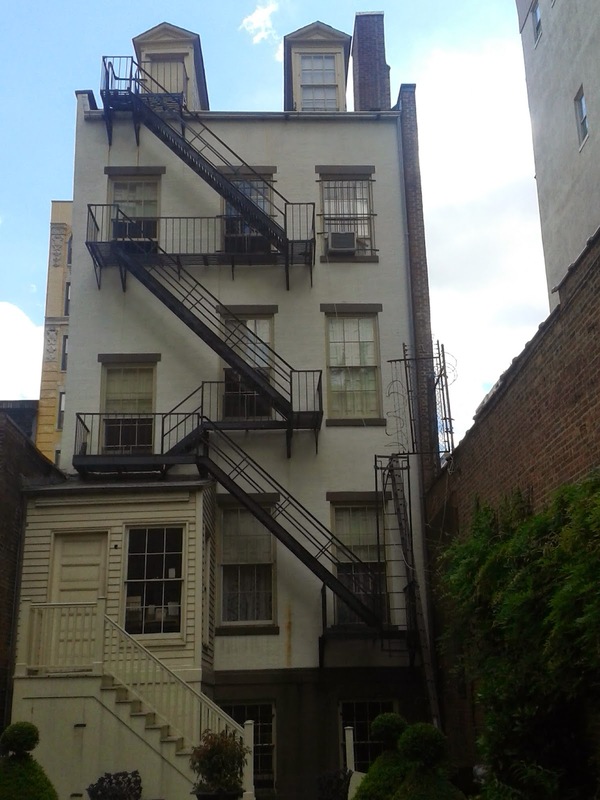 The Secret Victorianist was in New York City the other week and visited the Merchant’s House Museum – a detached house which has remained largely unchanged since it was home to the Tredwell family in the nineteenth century. Built in 1832, the house (on East Fourth Street, between Layfayette Street and Bowery) was sold to Seabury Tredwell (an NYC merchant) in 1840. He and his wife lived there with their eight children (six girls and two boys), with the youngest daughter Gertrude maintaining the house in near original condition until her death in 1933. You can still see the original décor and furniture – a dining table, with its extra leaves to extend when the Tredwells entertained, beds which family members were born and died in, bells rang to summon servants. And the museum even has a collection of the family’s clothes. While I was there, several of the family’s wedding dresses were on special display – from a plain empire line gown from the 1810s, to the more full-skirted and highly-decorated styles of the 1840s. Not that weddings were especially plentiful in the Tredwell family – only two daughter and one son of the eight ever married and no direct descendants remain. 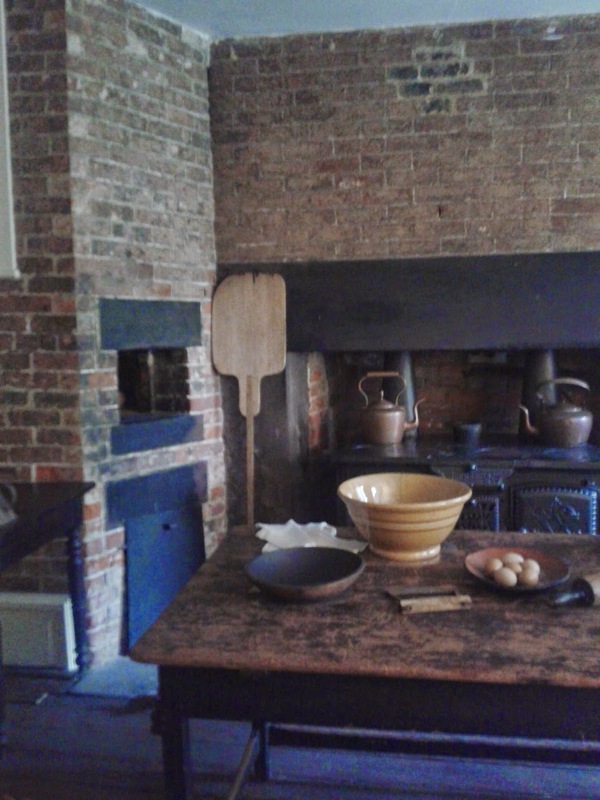 This aids to the poignancy of the Merchant’s House Museum as a home stuck in a time warp. 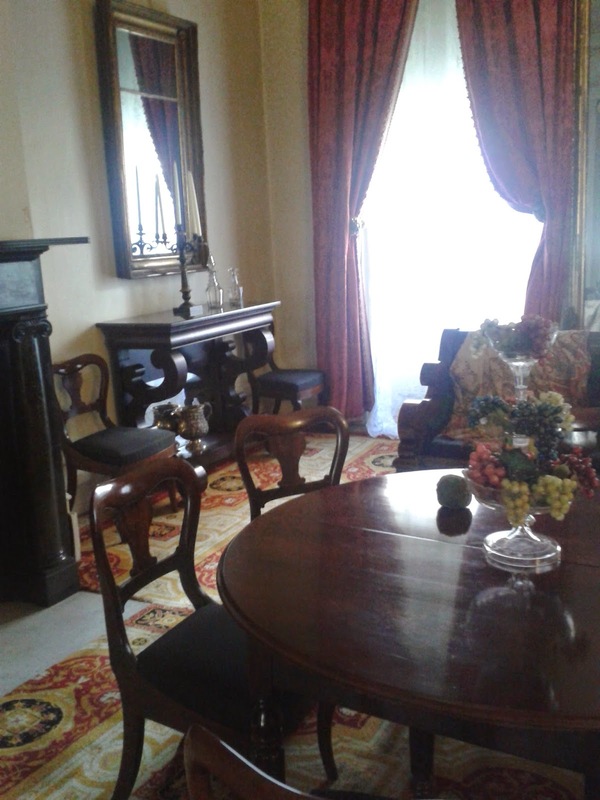 A recording of a piece from one of the family’s pianoforte exercise books plays on repeat in the front parlour and you feel throughout like you are intruding in somebody’s home. Unlike many of the grand National Trust properties you might visit in the UK, this building is very ordinary, and its former occupants’ lives understandable and relatable. It is all the more important and in some ways interesting for this – but its survival has relied on time, and this family, being unable to move on. The museum’s continued survival however is not guaranteed. Wrangling over the development of an adjacent property which could affect the House’s structural integrity is ongoing and the staff are noticeably grateful when they see visitors. The Merchant’s House Museum is well worth a visit, giving a wonderful glimpse into the world of nineteenth-century New York for only $10. It’s a chance to duck off the busy streets and step back in time. The Secret Victorianist is back in London, but will be returning to NYC come September. Do you know any other attractions she should visit? Let me know here, on Facebook, on Google+ or by tweeting @SVictorianist! 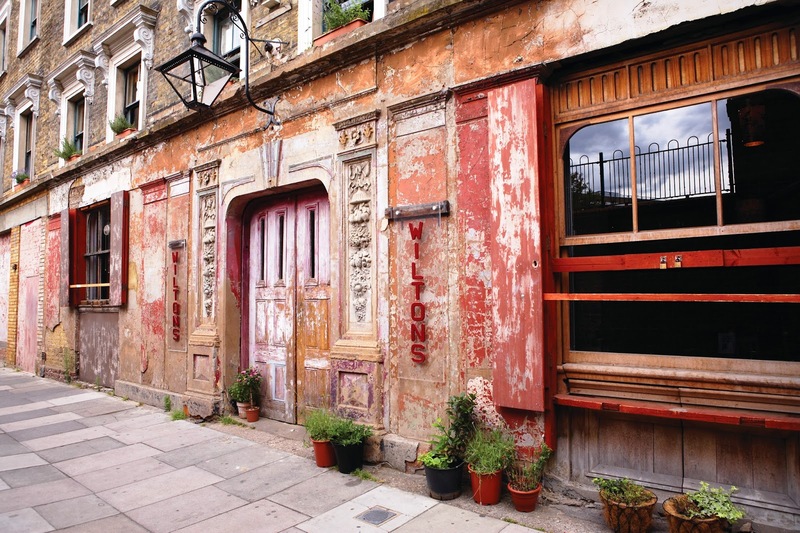 Wilton’s Music Hall is a relic of London’s Victorian East End – a nineteenth-century music hall attached to an eighteenth-century terrace, which has functioned over the years as a venue for entertainment, drinking, prostitution, religious congregation and, er, rag storage. Its heyday was in the 1860s when music hall – comedy, dance, song and dramatic tableau (all uncensored unlike full-length plays) – was all the rage in London but this is a relic which is also very much alive. While I joined one of Wilton’s regular historical tours, and enjoyed a cocktail in the Mahogany Bar, the great thing about the Hall is that its role as a performance venue continues, with a busy programme of dramatic and cultural events. 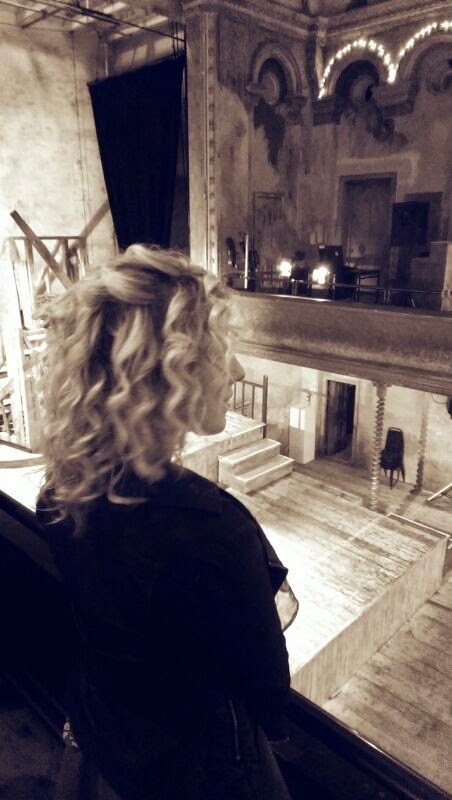 Wilton’s isn’t a museum. Throughout it feels definitively ‘lived in’. Adaptations to the Hall prior to its opening in 1859 and subsequent to a fire suffered in 1877, have given the building a somewhat haphazard air, with doors and windows leading nowhere and keeping the venue watertight a real challenge. Meanwhile the auditorium itself is decidedly shabby chic. You can still see the gilt of the barley twist pillars (which feature in many period dramas filmed here) and remnants of the older decorations, but the mirrored walls, bright paints and incredible gas-lit chandelier are all gone, while the original stage is covered for conservation reasons. This is not to say it’s not impressive. The auditorium is a tardis-like surprise, sandwiched as it is between narrow terraces, and the fairy lights strung up around it give a magical feel. The rowdiness of Champagne Charlie’s songs has been replaced by something which is much more serene but is absolutely still worth sampling. As with most of Britain’s most fascinating buildings, Wilton’s survival has at times been perilous. It took the rallying of recent generations of actors, performers and poets to save it from demolition and work on the building has been slow. 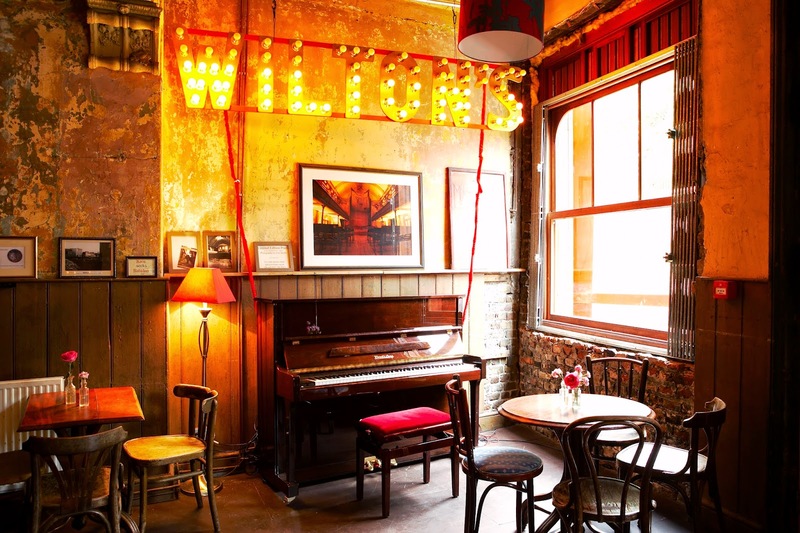 With recently secured National Lottery funding and ongoing renovation work to the terrace, Wilton’s attractiveness as a modern venue and historic attraction should only increase. The digitisation of its archive would also be invaluable for academics studying performance, local history or ephemera of the period. But for now, for only £6, you can take a trip back in time on the tour, or alternatively head to Wilton’s for a drink or some great entertainment – two things this London stalwart has been providing for the best part of two centuries. Do you know of any London sites you think the Secret Victorianist should visit? Let me know here, on Facebook, on Google+ or by tweeting @SVictorianist.